Weaving is a recent addition to my skill base. Even though I’ve been knitting since I was 8, and spinning since my 20s, there is always something new to learn, each woven piece is like an experiment. I love playing with different fibers using simple weave structure. The textures and colors of each yarn are the focus. 'Purples' is an example of how I work. Designing on the warping board and weaving in my lovely sun-filled room in mid-winter. In July this year, Rosalie Neilson was teaching a Rep Weave class at the Intermountain Weaver's Conference in Durango, Colorado. 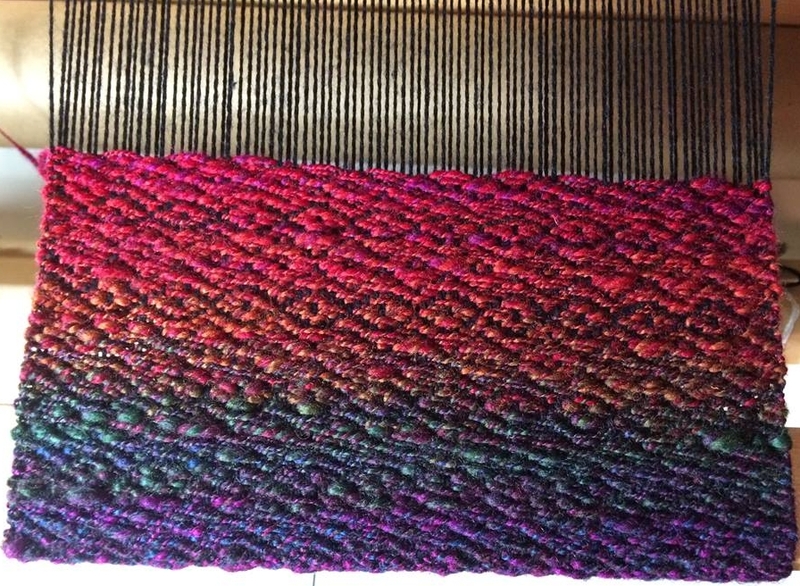 She is a wonderful teacher and I learned a lot - not just about Rep Weave, but a few other things to consider when weaving.